Tesla is about to corner the BEV market with a nearly complete portfolio of BEVs that goes across an almost entire range of vehicles. Once a company can do this it becomes easier to saturate that market with their products. Once saturated it becomes harder for any company large or small to infiltrate. VW Group is planning to use its “The People’s Car” efficiency to use against Tesla to prevent this or slow it down. It is implementing a manufacturing method on a massive scale with less variants and complexities than a gas car to assemble a BEV in half the time it takes for a Golf hatchback. So it wants to add an entry level subcompact CUV to its lineup to compete against Tesla. It would be built at the VW plant in Zwickau, Germany. 200,000 per year starting in 2020 on production par with Tesla’s least expensive model. It would be made on the MEB electric modular platform in the ID model range. They’d try to sell it at the same price as a diesel which would be about €23,000. Cutting by sharing costs with other mega makers like Ford is part of the Polaris strategy. VW Group is already strategizing on how to start paring down gasoline car production by turning over those chores to Eastern European and other global factories with lower labor costs. VW would also like to join alliances to slow down Tesla’s growth before it becomes even harder to compete against them. By Ford signing on Ford jumps to the front of the electric BEV line next to VW to beat Tesla at their game, which ironically is actually VW’s! 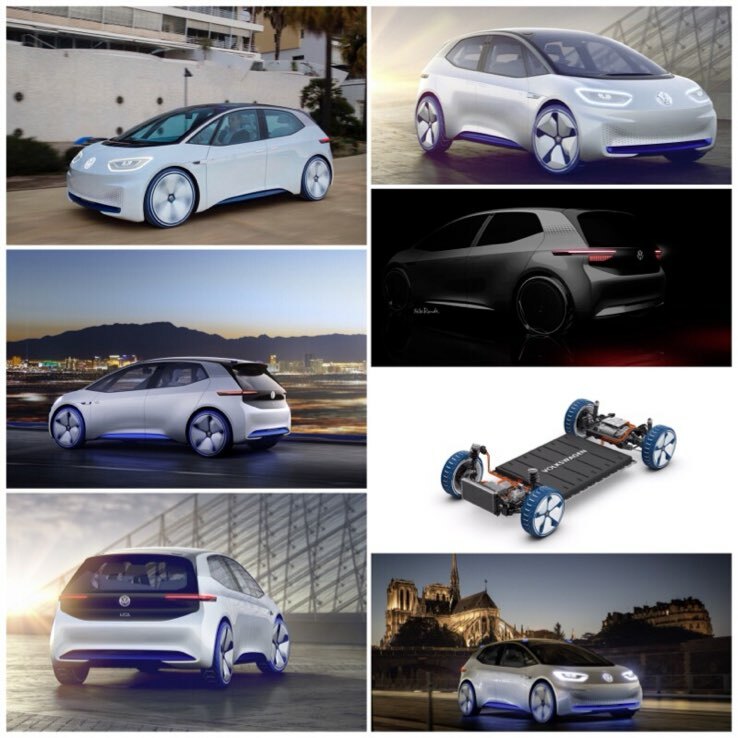 Industrial automotive powerhouse Volkswagen Group, AG (VOW) is in the process of planning, shifting, tooling, and producing vehicles and their costs so that it becomes the largest and the most powerful electric car company in the world. By doing this they are preparing themselves to outmaneuver Tesla Corporation at its own game by following a similar strategy they’ve been recently doing to squeeze costs so that they can offer a cheaper variant of their least expensive car, the Model 3. Polaris is massive shift of production priorities of different global factories to allocate manufacturing more efficiently across VW Group’s house of 12 brands. Tesla is trying to beat VW at its game while VW tries to outflank Tesla by doing the same game VW invented, and that’s by turning up car production so cheaply, loud, and strong that Tesla won’t ever be in a situation to beat them. By doing this VW hopes to keep Tesla at bay while VW and with the assistance of Ford, can stave Tesla long enough to strengthen each companies market position while Tesla attempts to saturate the BEV market to corner it with theirs. Tesla Corporation is now poised by the end of next year to corner the BEV market with a nearly complete line of full electric BEVs across an almost entire model range, an electric tractor and mega super sports car too, that once completed will be very difficult to break through to compete for any car company. VW Group has apparently gave thought and planing to this situation, as they intend to use their size, strength, and wealth, and with a little help from Ford Motor Company, and maybe others, in the markets VW is weak where Ford is strong, they intend to weaken Tesla’s near ideal consumer market position by getting the edge on them as much as possible beforehand. By Tesla taking a page from the VW Book, which is actually taking a page from How to Make the People’s Car by VW, Tesla is already paring down option choices, colors, and interiors in its product portfolio across the entire line so that it can save money in costs to get ready to pass that on to that metaphorical $35,000 Tesla Model 3 Econo variant they hope to ramp by early next year. Realizing they are doing this, VW Group has structured an industrial maneuver called Operation Polaris, that takes Tesla’s plan Tesla took from VW, for VW to take that plan and turn it around again and put it on steroids to beat Tesla. Operation Polaris is now in effect across all 12 VW brands. Shifting factories, production priorities, finding the smallest ways to cut costs without sacrificing jobs because VW needs the productivity, VW Group is finding ways to cut costs to save money to make even cheaper cars. The race is now on to beat Tesla at their own game which in reality belongs to VW. And This is How You Get to Making the First People’s Electric Car, Any Questions? The most noticeable effect of this plan is the debut of what probably will be known as the Beetle heir apparent, the first People’s electric car named Neo, a subcompact CUV BEV built on VW’s all-electric MEB platform that will sit entry level in the ID range for $21,000 USD, beating Tesla’s econo price by $14,000. This is be VW Group’s first full production, mass production all electric vehicle the equivalent to the production when they first tooled and ramped up for the Type 1 Beetle back in 1938. Now that VW has toyed around with electrics long enough to get a landscape of how to do electric car production, it’s finding that building an electric car can be more simpler and efficient than making a gasoline one. VW has found a production method that halves the time it takes to build a Golf hatchback, and they intend to use that method not only to save money, but also to outbuild and outsell Tesla. This is where a faction at the House of Wolfsburg had hoped the next Beetle would sit, to become the white horse to save Beetle and bring to VW another century of Beetle Renaissance to the brand. But because of timing, urgency to compete with Tesla, and sales figures that pointed to Beetle insecticide, the heir apparent needed to come sooner and not be about Beetle, so this is where this new car, Neo, comes in. It will be built at VW’s Zwickau plant in Germany, with at least 200,000 units to start in 2020, and an additional 100,000 at Emden, with other global factories helping like in China and the US. In its industrial war with Tesla, by signing on additional allies, VW can open additional theaters of battle. This is where Ford Motor Company comes in. VW Group and Ford are two automotive powerhouses in their own rites. The great combination these two make, is that their vehicle portfolios coincidentally hardly overlap with each other. In any given market where one is weak, the other is at the least very strong. In spite of Dieselgate which including the $926 million USD fine German prosecutors levied against Audi that brings the total fines assessed against VWG at $33 billion USD, VW Group posted record profits for FY2017, and in 2016 became the world’s largest auto maker by size and production. In spite of diesel payouts VWG is in a very strong cash position to launch an industrial war. Ford however, is cash short, and while the bulk of their profits come from selling light trucks and SUVs, they desperately need a boost in their electrification program. But they are prepared to ramp anything up they wish to at such a massive scale like VW can, that both companies can drown out Tesla in markets that could be the envy of any car company on any given day. Now here comes VW Group to Ford’s rescue. By licensing their MEB electric technology to Ford, Ford automatically comes to the front of the line as a key player in the BEV world, very much the same way that GM bought itself to the front of the autonomous driving line when it purchased Cruise Automation. This will have an effect of having two Volkswagens for the price of one building at least twice the amount of electric vehicles, but this is the thing, to saturation sell in different markets, some not ever to be touched by Tesla perhaps at least for a while like Central and South America, and at least on a massive scale that either legacy car maker can accomplish, with both passenger cars and light trucks. So both big companies will be working in tandem to beat Tesla at its own game which is really VW’s. In a recent Torque News story on the contemplation of a Volkswagen Ford “collaboration,” we reported about how electric car production changeover from gasoline is a losing proposition for both types of vehicles. Another round of brand extinction like we saw at the turn of the century as a lead up to the Great Recession is bound to come. Only big car companies flush with cash will be able to afford to tool up and lose money at first with electrics at the beginning, and tool down and lose money with gasoline cars at the end. With Operation Polaris, it seems that VW Group is positioning a way or has found a way to minimize cost, thus limit the impact of this phenomenon. Operation Polaris is already putting plans into effect to transfer gasoline vehicle production to places where labor costs are lower, like Eastern Europe, so that it’ll become easier to pare down, then halt gas vehicle production so that equipment and expenses can be sold, given to another company willing to produce them longer, or written off. The Passat is currently made at VW’s Emden plant in Germany. Production will be moved to the Czech site in Kvasiny in 2022. VW is even considering the option of building another factory in Eastern Europe, maybe Hungary or Bulgaria for gas car production, to handle the back flow from Kvasiny, that they can convert later to electric. The more collaboration VW gets with electric ramp up, it can even help other companies make money while VW ramps down gasoline products. VWG is even surveying Ford’s operations to see if they can takeover production of commercial gas vehicles at a Ford plant in Turkey. This is where most likely the gas version of the microbus will be produced. The MEB electric modular platform: get used to hearing that name, because at least for the first five years from 2020, this is where most of the electric cars built in the world have the potential of coming from and being built upon if Ford and VW agree to collaborate. In VW Group’s case alone, this platform will be the foundation of at least 50 cars across 12 brands sold worldwide. Emden would see either 100,000 new Aero or Neo cars built there instead. Electric ramp up would also start at Anting and Foshan that year in China. Chattanooga, VW’s only North American facility will become the all electric 2020 factory. VW Group may appear to look like a bully compared to Tesla but the laws of industry dictate that no matter how big or small a company is, once a company or consortium infiltrates a consumer product market to corner it then saturate it, it becomes exponentially more difficult and expensive to break into that market to compete. By getting an edge-on now in markets where the legacies are already strong, where Tesla cannot get an edge-on, they can focus on markets where all are competitive to make better products to convince buyers to purchase. In the end this in most cases helps the consumer by providing more choices and at more competitive prices. In obscure foreign markets this vastly improves the chance of those areas getting new electric vehicle technology sooner than they otherwise would receive it. Some say this speeds up the goal toward worldwide zero emissions transportation. The most controversial issue here is who gets most of the profits while market infiltration, cornering, and saturation takes place, and are the business practices being conducted fairly while getting there. Neither VW or Ford would comment on either’s own plans for the future. Ford and VW announced in June that the two companies had signed a Memorandum of Understanding to explore several joint projects, including (but not limited to) joint development of a range of commercial vehicles to better serve global markets. Both companies said they want to strengthen global competitiveness. While the MOU is designed to allow for confidential exploration of a potential partnership, any strategic alliance explicitly "would not involve equity arrangements, including cross ownership stakes," the news release said at the time. VWG’s CEO Neiss did state in an interview with Bloomberg that his company did discuss with Ford the possibility of sharing their electric MEB technology. And so this is how the existence of “the People’s first Electric Car” shall come to be. What do you think of the strategy for the People’s next electric car? Let us know below! VW's electrification is an ambitious undertaking. I do not think that it spells the end of ICE vehicles that make up 90%+ of their offerings today, but if VW makes this kind of EV commitment, they are going to come up with something interesting, that is for sure. We will have to see what the real pricing is when the cars are built and for sale, but it is a hopeful sign if VW can get the final pricing under $30K before incentives. My opinion was that big automakers didn't want EVs happy churning out ICEs at healthy margins due to need to re-tool plants, less maintenance/parts design of EVs and offering models with low ranges and expensive pricing either as "just in case" or "see how inpractical they are - unfortunutaly we have no choice but to keep polluting". I do hope I am wrong and we have to thank Tesla in the US for it, rather than Nissan, which IMO got surprised with initial success of their Leaf and started to drag their feet in developing it into a competitor to their regular cars by properly upgrading its battery etc. Another case in point: here in New Zealand Hyundai has just introduced an electric Kona "SUV" with 64kw, i.e. more real range battery. Unfortunately, they sell it alongside a petrol version that has AWD option that EV doesn't, costs twice as less and has a spare tyre (spacesaver) that EV has no room for. They put some ads for the EV on the Internet, but not on TV it's still traditional SUVs.